April 2nd, this year is the twelfth World Autism Awareness Day. 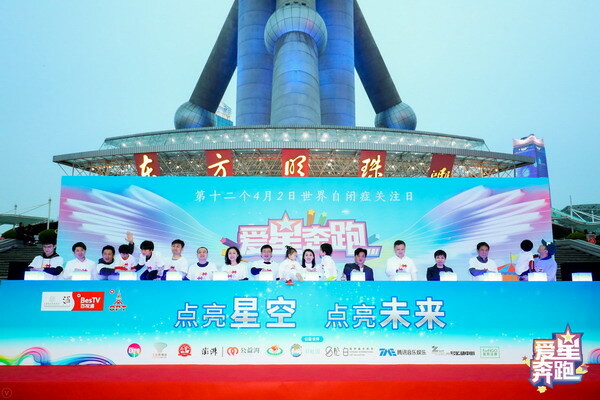 Under the joint advocacy of BesTV and SSCLF – Han Public Welfare Special Fund (hereinafter referred to as Han Public Welfare), Olympic boxing champion Zou Shiming, BesTV image ambassador, famous violinist Huang Mengla, well-known host Li Chen and famous game anchor Ping Zi together with many public welfare organizations assembled under the Oriental Pearl Tower and launched again "Love Star Running" public welfare activities to disseminate "Eliminating Misconceptions and Advocating Inclusion", the theme of 2019 World Autism Awareness Day. 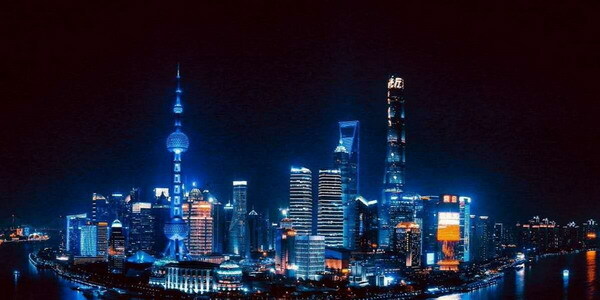 In the evening, the Oriental Pearl Tower and Lujiazui buildings also lit up the blue lights, together with many world-famous buildings, in support of the children with autism. The "Love Star Running", a theme activity, invited the children with autism and their parents to participate in various forms of the activity, such as jogging, lighting up the stars, graffiti and "flash dance". The event enabled more people not to have misunderstandings for the children with autism, but at the same time helped families with the children of stars to enjoy a life of dignity, accessibility and quality. 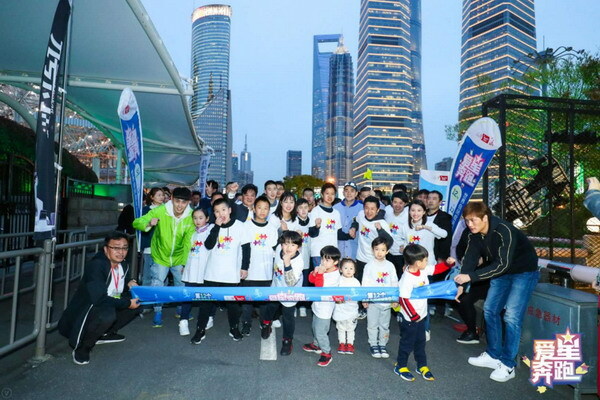 In the Oriental Pearl Tower City Square, Zou Shiming and Huang Mengla led the "Love Star Running" team running all the way around the 420-meter perimeter which exactly matches the date of "April 2”, and supported “the Children of Stars” and their parents with practical action, and also allowed more people to understand the current situation of autism. What shocked the audience the most was the appearance of Zhou Bohan, a Child of the Stars. He played three pieces of classical piano repertoires: Mussolsky's "Picture exhibition", Huang Huwei's "Painting of Bashu" and Chopin's "Nocturne", which immediately attracted all the audience to appreciate his exquisite piano playing level. He was diagnosed suffering autism at the age of three and began playing the piano at eight. In 2012, he was admitted to Oriental Xingzhi Piano School and started professional piano playing learning. In 2015, he was admitted to the music education department of Shanghai Conservatory of Music for further study of piano. In the face of a large number of audience, with his love for music, Zhou Bohan showed everyone the delicacy, softness, strength and distinctiveness of the inner world of “the children of Stars”. At the event, experts from Shanghai Literature Museum of Traditional Chinese Medicine provided TCM health education to families with autistic children, helping them to better cope with autism. Shanghai Fuen Social Organizations Law Research and Service Center also set up a special legal advisory office to provide on-site compulsory consultation. The activity H5 produced by means of new media is also online again, moving fingers, gathering more people's strength to "light up the blue screen", restoring a quiet blue to the children, so that participants can feel and understand autistic children.